With the recent Nexus announcements, there has been an influx of users expressing how much they need a microSD card slot. If you're one of those people, and have that much stuff, then Best Buy's Deal of the Day is for you. 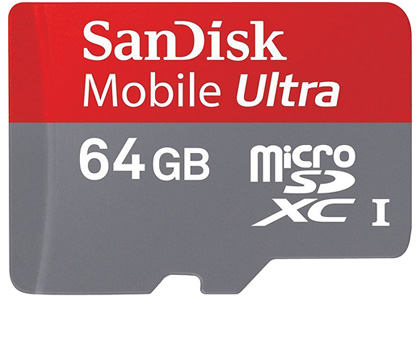 For the next four hours (at the time of writing this, of course), can you get a SanDisk Ultra 64GB microSD card for just $43. 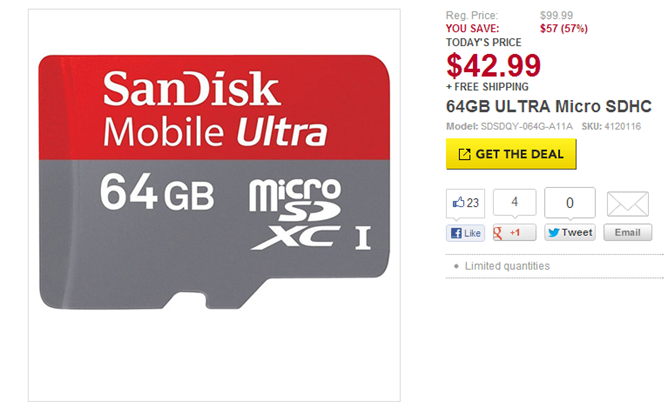 That's sixty-four geebees of storage for less than a buck a gig. Not too shabby. Maybe now you can keep a third of your music collection or one sixteenth of all your movies with you at all times. You never know when you'll just have to watch Pretty in Pink. Better to be safe than sorry. Hit the link below to buy.